Arrowhead Credit Union staff goes back to school for some seriously fun reading. 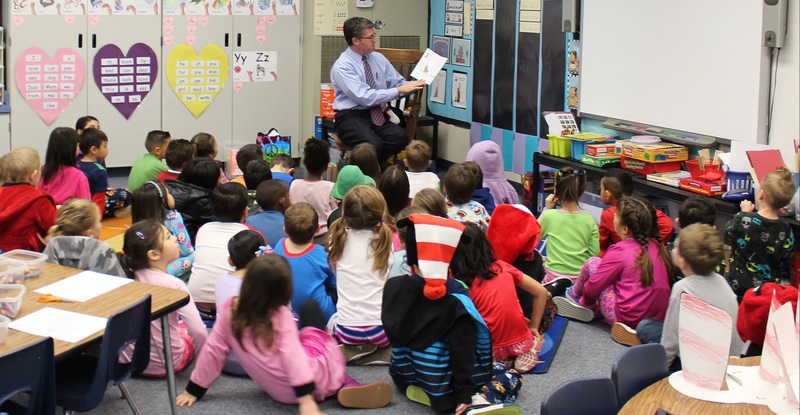 Arrowhead President/CEO Darin Woinarowicz reads to an elementary school classroom during its recent observance of Read Across America Day. It was Read Across America Day and nine staffers from the $774 million Arrowhead Credit Union found themselves in a good place: Windrows Elementary School in Etiwanda, Calif., where they read their favorite Dr. Seuss books in more than 30 classrooms. The credit union industry loses longtime leaders in Wisconsin, Maine and Alabama.